Casted from TM Design's reinforced plastic to absorb energy and not transfer it like aluminum. This part will help prevent case cracking even at the mounting bolt holes. Made from high quality plastic for ultimate wear resistance and using a sealed bearing, the TM Design powerlp roller will stand up to the toughest challanges. Patented One piece molded plastic housing uses a set of our trademarked Powerlip rollers for 100% rear wheel horseppower, without losing any chain tension. Bolts on without having to remove the chain. 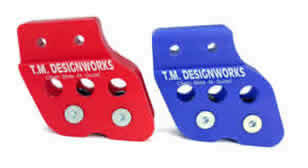 All new Patent Pending TM plastic Rear Chain Guide housing is 40% lighter than stock. Inside the guide is our Patented and trademarked Powerlip roller for 100% HP transfer and no chain plate wear. 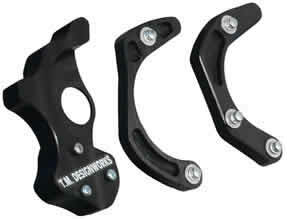 Holds securely to swingarm and will outperform & oulast any other chain slider design. 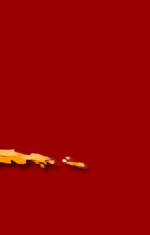 Molded from TM's self lubricating zero chain drag plastic formula for more HP. 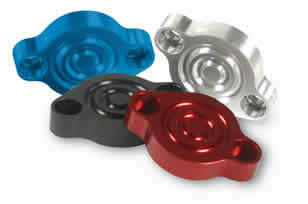 The only Perfect Fit Brake block off on the market. TM's part is 1/4" thicker than other models to pull more heat out of the brake caliper. The shape is contoured to fit the late model large body ATV's. Recessed fit for the socket head steel bolt to complete the package. A must have item for keeping those metal bits from floating around in your engine.